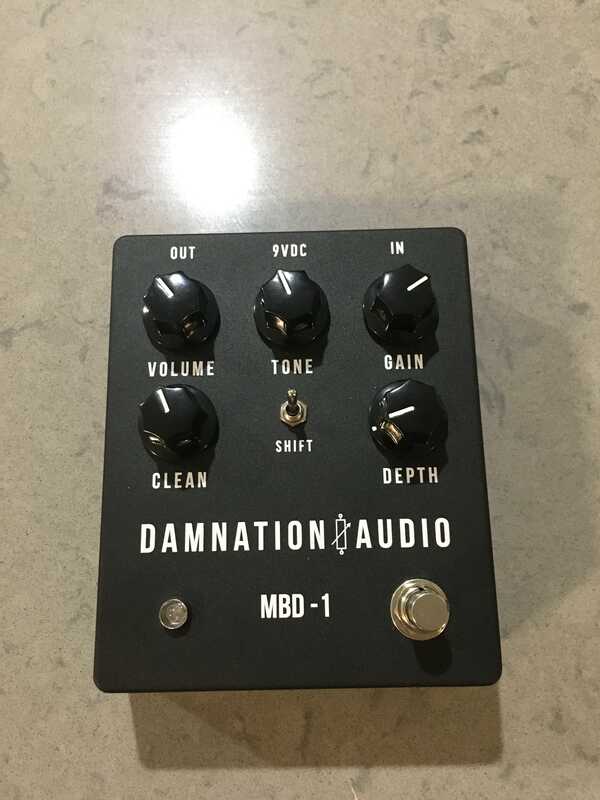 Selling a Damnation Audio MBD-1 that I bought from Ben recently. It's a great sounding pedal, really versatile (there's a lot of tones to be found in here with enough knob tweaking) hard to find over here and highly sought after from those who are drive pedal fiends. I'm actually a bit reticent to sell it as I'm not sure I gave it enough time to gel with it, but I haven't fallen in love with it immediately like I thought I would and there's some other gear coming up that I really do want a lot more (and will get more use out of). It's in A1 condition, same as when I got it from Ben. I'd like to get back what I paid for it, so will do it for $240 including standard postage. Last edited by jimmy_effected on 08 Nov 2018, 21:17, edited 1 time in total. And sold, far out that was quick.